Caterline is a specialist company providing commercial kitchen equipment to customers of all shapes and sizes across the whole of the UK. At Caterlineltd we understand the needs and requirements of running a busy commercial kitchen. With over fifteen years in the business, we are able to offer a wide range of brand new commercial catering equipment to equip your kitchen. We can supply brand new commercial catering equipment and appliances from all the major manufacturers and they can be delivered to your business premises within 7 days. Caterline offer a nationwide service so if you have an urgent need for new kitchen equipment then we can help. Over the years we have built a strong reputation for the quality of our catering equipment and we can cater for all types of commercial and industrial food preparation, cooking and catering establishments. 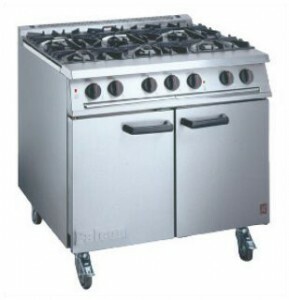 Cookers, Fryers, Chargrills, Wallgrills, Fridges, Freezers, Microwaves, Water Boilers, Dishwashers, Ovens, Pizza Ovens, Bain Marie, Fryers, Grills, Wall Grills, Preparation Equipment, Potato Peelers, Food Processors, Microwaves, Sinks, Tabling, Stainless Steel Worktops, Water Boilers, Fume Filtration, Toasters and display units and all types of commercial catering equipment. Please feel free to select from our extensive product range and then either submit your order by using our email inquiry form or contact us by telephone on 01384 459111.